﻿This is a closeout item. 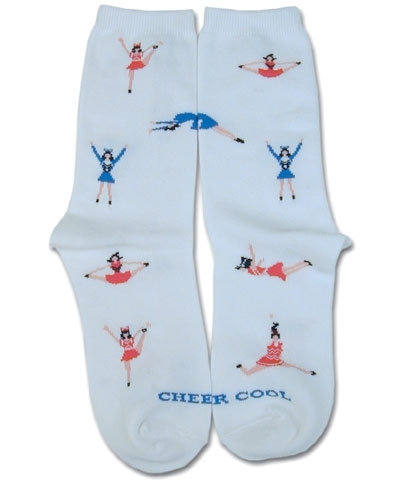 CHEERLEADER CheerCool socks are made just for our athletes. From competition socks to playful leisure wear we have designed very special socks. A sleek thin sock with cheer STUNTS woven in for fashionable leisure wear. 85% combed cotton,12% nylon, 3% spandex. Available in sizes Youth=6-8.5 and Medium=9-11.